My colleague in the CCS, C. R. De Silva has asked me for my comments on the article,”Buddhism & Good Governance: The Case for a Sangha Rebellion” published recently in the Colombo telegraph in two instalments, for his information. CR was keen to have my comments as he had recently published ideas on the same line. Though I do not have the background to comment on the ideas of an international anthropologist and sociologist like Prof. H. L. Seneviratne, I decided to share my views with the reading public in general. I am only a lay Buddhist who identifies himself with the being at the edge of the universe. These comments are made from that point of view. In his article, the Professor has made a distinction between the worldview of ‘Sinhala Cultural Buddhism’ and that of ‘Philosophical Buddhism’. His challenge is to try and imbue the society with the universalist ethicality of Philosophical Buddhism, and its ethos of urbanity, civility and modernity’ He is calling upon the more educated and dynamic sections of the saṅgha to accept that challenge, and give leadership to a social movement for meeting it. The Professor has logically analysed the path of deterioration of Philosophical Buddhism to Political Buddhism. He traces the development from the time of the Buddha, when an attempt was made to harmlessly purge the island of non –Buddhist elements or to convert them. According to the worldview, classically expressed in the national chronicle Mahāvaṃsa, Sri Lanka belongs to its ethnic and religious majority, the Sinhala Buddhists. It has been foreseen by the Buddha that it is in Sri Lanka that his dharma would shine, making it the Dhammadipa, “the island of righteousness”. The Sinhala Buddhist worldview did not wither away, but within the reality of day-to-day social relations it had no relevance, and people of different ethnicities and religions interacted with each other freely, pragmatically and profitably. The conquest of Sri Lanka by the British resulted in a framework of modern democratic governance but did not change the traditional world view of governance. A revolutionary change took place with the fall of the conservative government in 1956 and until now (2017) it is a story of compromising that view in turn by both major political parties. It was a shift in the value system that underlay political action. In contrast to the government just voted out of office, the newly elected coalition championed ethnicity, language, religion and “culture”, i.e., the ingredients of the Sinhala Buddhist worldview. For this purpose they designed a platform whose main ingredients were the replacement of English with the majority language Sinhala as the official language, and giving recognition and material support for religion and “culture”. The electoral appeal of this platform was so powerful that the relatively secular and cosmopolitan UNP gradually accepted it, making it virtually the non-negotiable clause in the platforms of both major national parties. It was a shift in the value system that underlay political action. In contrast to the government just voted out of office in1956, the newly elected coalition championed ethnicity, language, religion and “culture”, i.e., the ingredients of the Sinhala Buddhist worldview. The reforms of 1992 and 1998 lead to the increasing spread of bribery, corruption, and nepotism; the politicization of all institutions; fraud, inefficiency and unaccountability in everything; breakdown of the judiciary, the police and the administrative service; indiscipline at work, leisure, and on the roads; and more. Although I agreed with the Professor’s learned analysis of the origins and the development of cultural development of Buddhism to the detriment of good governance, I was left with some doubts. Having named certain monks who took a positive interest in advancing the pragmatic world view of Buddhism, he expected the Sangha to initiate a revolution that would usher in that view. The movement led by the Vidyōdaya monks in the 1930 and 1940s that they termed “rural development” (grāma saṅvardhana) that combined the religious and the economic, the moral and the material came closest to such a revolution but it fizzled out without making a lasting impact on Buddhist society. For myself, I doubted the emergence of a lasting revolution headed by the sangha. These doubts have been eloquently expressed in the CT by Dr. Siri Gamage, the Professor’s former pupil in Sociology and anthropology at the Peradeniya University, with the following questions on his former teacher’s recommendations with which I identify myself. 1. How far a rebellion of the educated and cosmopolitan Sangha aimed at reviving the society’s value system based on philosophical Buddhism and ethics can be a solution to what is essentially a political and to some extent an economic problem? 2. 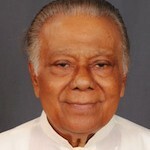 Even if this rebellion results in socializing the younger generation to the value and ethical system suitable for good governance as proposed, how to change the values, ethics and attitudes plus more importantly the behavior of current generation whose members are at the helm of various secular hierarchies following Sinhala Buddhist World View which the author thinks is the root cause of problems today? 3. Do these rebellious monks need and organizational mechanism to achieve the transformation required? What would that be like? 4. 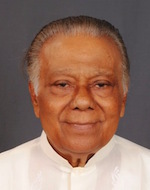 If the primary cause of mal governance is the fact that the ‘nationalist block’ gained power since 1956 over the Western acculturated upper class represented by UNP as well as the exploitation of nationality and religion for political gain, what should the rebellious monks do to reverse the course in addition to advocating the merits of the value system based on philosophical Buddhism? 5. How to achieve changes in the corrupt political culture without the formation of a Council of concerned citizens (may include rebellious monks) with a radical political programme? Going by past behavior, I am afraid that the Sangha by themselves, would not take the lead to create the necessary mechanism to spearhead the recommend approach. Of course the sangha nayakas of the present dispensation have shown a positive attitude towards a cultural Buddhism of reconciliation, more particularly, the Sangha Nayaka of Malvatte. It is a pity that we have recently lost two sources that made a significant contribution to achieve the Professor’s wish. I refer to the late Rev. Maduluwawe Sobhita and the late Rev. Davuldena Gnanissara. My belief is that even they could not have accomplished the desired result for two reasons. It is my belief that such a moment has to be necessarily initiated by the State. This has been the practice even in the past when Sangayanas were actively organized by the government of the day. In the current setup, the leadership for organizing the sangha is best assumed by the Office for National Reconciliation headed by Madame Chandrika Kumaratunga with her outstanding impact on the running Government. Besides, as seen in the Professor’s evaluation she was the least obsessed by the values of political Buddhism out of the Heads of Government since 1956. Only it is hoped that she is assisted in this assignment by a staff that has the vision, the experience and the time required for the task of bringing all sections of the sangha that would work out the secular model envisaged by the Professor. For optimum effect, this assignment should be finalized before the new Constitution is framed and promulgated. Problem with the monks is there experience. They come from a world where they dont have to earn money to live. The layman has to work or do business or agriculture to earn a living. The monks cannot lead , as there world view is narrow and end in nothing. such a thinking cannot lead a country. People who follow monks will end in destruction, as its not compatible with the day to day living of a person. What knowledge is gained by sitting under a tree, when the world is moving at a fast pace, and bills have to be paid, children have to be educated, commitments to meet. “Problem with the monks is there experience. They come from a world where they dont have to earn money to live. The layman has to work or do business or agriculture to earn a living. The monks cannot lead , as there world view is narrow and end in nothing. such a thinking cannot lead a country. People who follow monks will end in destruction, as its not compatible with the day to day living of a person.” Depending on others is not unique to Buddhist monks. Clergy in all the religions are parasites. If we go with your argument, people who follow clergy in other religions will also end in destruction. You must be one of those guys who is paid by the Evangelical church to tarnish the image of Buddhists. Go to youtube and watch videos on corruption and other nefarious activities of Vatican. Compared to other religions, Christians have committed more crimes against humanity. Buddhists are the least violent in this world. Buddhists have not gone on killing sprees to spread the religion. Eagle Eye: “……….Clergy in all the religions are parasites”. Very very very true. Majority know this but are silent! The world is driven by a vocal minority. 4. We the hierarchy don’t work because we are holy. 5. You will go to hell if you don’t feed and support the hierarchy. So we the laity are well and properly screwed, are we not? Somapala Gunadheera’s contribution is a follow up of Prof HL S’s articles. HL S attemts at provoking self-analysis. The Somapala Gunadheera’s “………….Who will Bell the Cat?” is not meant to incite a rebellion but with carefully worded text he again invites self-analysis. Lankan Buddhism has sustained onslaughts during the 500 years or so of colonialism. Buddha’s teachings have amassed considerable the world over. Are the defenders of Lankan Buddhism causing more harm than good? Across the Strait, Hinduism has survived thousands of years of onslaughts (and added lots of superstition). Buddha was a reformer and his teachings has become a religion. The secular character of India kept it united but Hindu Cow Vigilantes are causing damage – probably to order. Turkey has shed secularism to fundamentalism. Lanka must avoid this trap. Thank you S G for raising this.